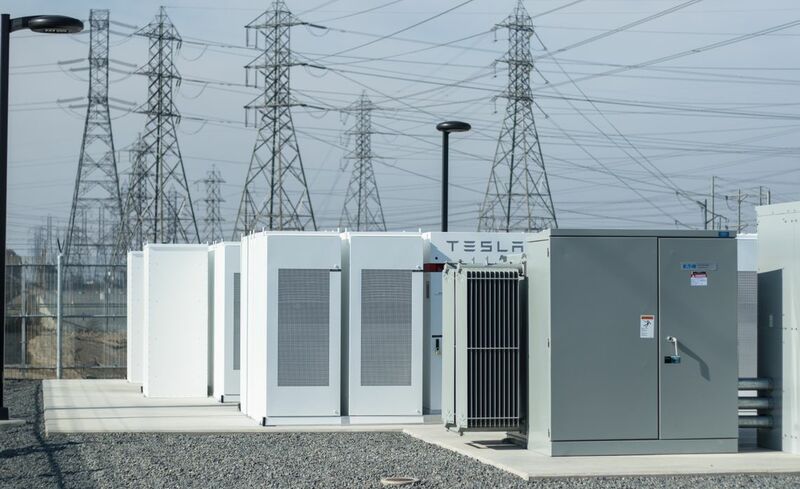 This large lithium-ion battery storage facility is a result of a collaboration between Southern California Edison and Tesla, the vendor selected for the innovative project. These batteries can be charged when demand is low and store up to 80 megawatt-hours, enough energy to power 15,000 homes for four hours. “This project is part of our vision at Southern California Edison to take advantage of the wind and the sun, and operate a flexible grid that delivers clean energy to power our homes, our businesses and our vehicles,” said Kevin Payne, CEO of SCE, at a ribbon-cutting event Monday. 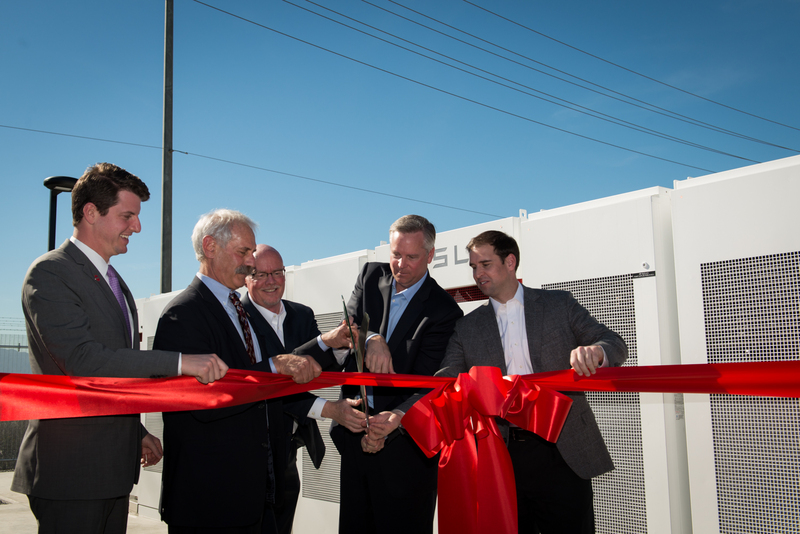 “Standing here today among these Tesla Powerpacks is a great reminder of how fast technology is changing the electric power industry and the opportunities that will come with it." SCE selected Tesla in a competitive bid in September and the project was completed by the end of the year. The battery storage contains two 10 megawatt systems, each containing 198 Tesla Powerpacks and 24 inverters. The modular system allows it to be connected to two separate circuits at the Mira Loma substation. The batteries can charge when there is more renewable energy than demand, and supply that energy to customers during peak hours. This enables greater use of clean energy technologies, such as residential solar, and will help California meet its energy and climate change goals. The California Public Utilities Commission directed SCE last May to expedite the use of energy storage connected to the grid to mitigate for the loss of natural gas storage at Southern California Gas Company’s Aliso Canyon. The Mira Loma Battery Storage Facility was commissioned by the California Independent System Operator just 88 days after groundbreaking. “This was unprecedented fast action on the part of the CPUC,” said Michael Picker, the commission’s president. “And we are once again stunned by the battery industry to meet our needs. This is another example of progress,” he added, congratulating all the participants. Battery energy storage is also being evaluated to improve the reliability of SCE’s distribution network, and support the integration of distributed energy resources, such as residential solar systems. And as the technology improves, efficiency can only get better as the costs come down.